Mission: To provide fresh vegetables and fruit for the free meal served every Saturday night at St. Luke’s Church, to provide any additional produce to meal guests to take home, and to provide excess produce to Dubuque Food Pantry and homeless shelters. Eligibility: Anyone who has transportation to the site is encouraged to participate as a volunteer. Anyone who needs free meals or fellowship is invited to come to the meal every Saturday night. The doors open at 4 pm with snacks and beverages and dinner serving starts at 5:30. Special events: Chocolate chip cookies and lemonade are frequently offered. Description: The garden is in a rural setting on an acreage and is approximately 5,000 square feet in size. Water is available and all tools are available to volunteers. Volunteers do not need to be experienced gardeners as each task is explained. Children are welcome and encouraged to participate. When should I get in touch if I’m interested in gardening or volunteering? Contact Mary Purdy anytime April through October if interested in volunteering. How was the garden started? It was started as another ministry outreach to complement the meal ministry and other food ministries at St. Luke’s Church to provide nutritious food to those who live with food insecurity. How is the garden supported? 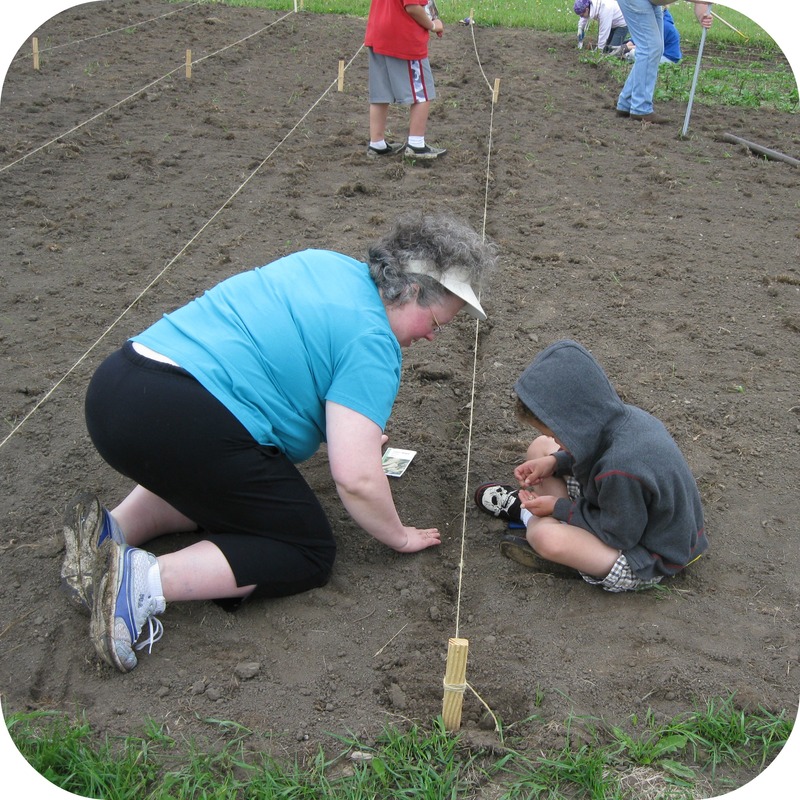 The garden has been funded by grants received from The United Methodist Church and also by The Dubuque Rotary Club and through donation and collaboration with other community gardens plus donations of funds, seeds and labor. How many people are actively involved in the garden currently? Each year, approximately 30-40 people are involved, at some time, in the planting, mulching, weeding and tending of the garden and the harvesting, transporting and preparation of produce. Do you or would you like to host school groups, youth, or other groups at the garden? Students from The University of Wisconsin Platteville, residents of the Dubuque Rescue Mission and members of clubs and organizations have volunteered their help. We welcome anyone who would like to come! What’s needed? Any resources? Volunteers? Leadership? Supplies? Creative work? Community connections? We always need more and consistent help and creative ideas of how to improve the garden.